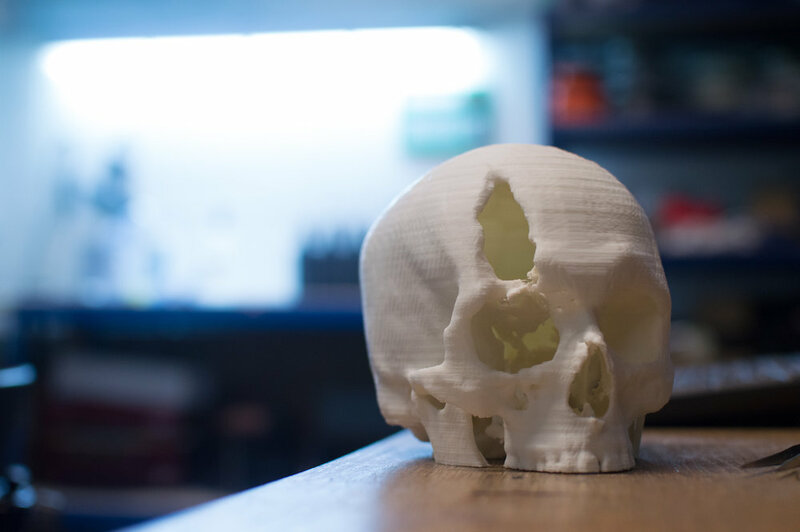 In the medical and dental sectors, 3D printing and additive manufacturing are quickly becoming standard practise for applications such as surgical planning, and the creation of surgical stents and anatomical models. As scanning technologies are becoming ubiquitous in hospitals, clinics and surgeries across the UK, the use of digital design (and its associated fabrication techniques) is increasing in tandem. Data from ultrasound, CT and MRI scans can be extrapolated to create 3D models (of bone, soft tissue, skin etc.) which can be 3D printed as anatomically accurate reference models for use in surgical planning. Prints made with glass-clear PolyJet material can also be useful during surgery because of their transparent quality. STEP 3D implements a strict data handling policy to ensure privacy and anonymity.